The Water Square thermostatic shower valve delivers a refreshing new concept where round meets square. 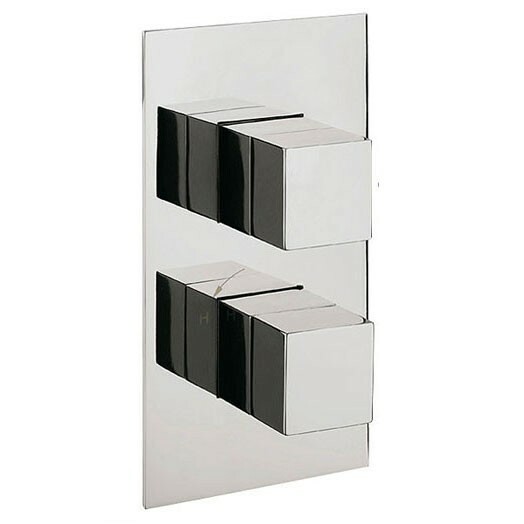 The square handle is minimal in design, yet smooth and sleek in operation, combine this with the waterfall spout and you will receive a river of water delivered in ultimate style. This design is the latest fashion statement in bathroom chic - perfect for the discerning customer with a desire for original craftsmanship. This shower valve is ideal for use with our fixed shower heads or shower kit. Please remember if using a shower kit with a recessed shower valve you will also need to buy a wall outlet elbow. 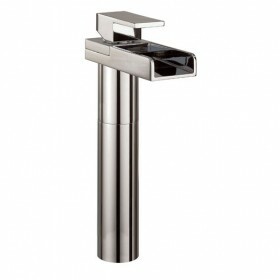 The top handle on this valve controls water flow to a single outlet whilst the bottom handle controls your temperature. The Water Square thermostatic recessed shower valve is suitable for use with both high and low pressure water systems and requires a minimum operating pressure of 0.2bar. 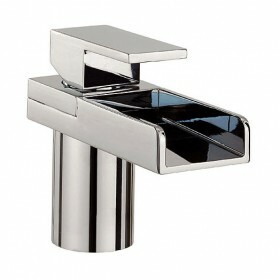 To add the finishing touch we recommend the Crosswater Water Square bathroom taps and waterfall spouts.